As we’re entering into the mid-summer in Texas I’ve been reflecting back on this year’s experiences and how they have shaped me – and the people I’ve worked together with- to improve further as human beings and leaders. It’s been a year filled with fascinating events, encounters with countless inspiring individuals and lots of new priceless lessons learned. One of the major things that I’ve noticed during this year is that there’s a larger demand for leaders whom lead from their heart. Leaders who with authenticity, integrity and deep passion are ready to build long-term success from a strong value-grounded foundation. Leaders with the mindfulness to not only see through the shallow facades but also with the courage and strength to go another way against the established culture in order to truly serve others. 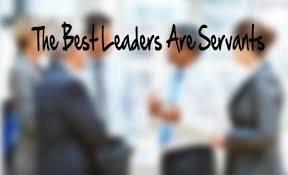 Genuine – real – servant leaders put others first and realize it’s never ever about “me” but always about “them”. We, as a society, need leaders whom combine their ability to create great results with a long-term development of individuals and organizations. We need, and want, leaders whom want and are eager to be part of creating a better future and a higher quality of life in all areas of ones life – the kind of leaders whom have and want to share, inspire, support and serve others in building organizations and a society that enhance our ability for compassion and cooperation. We want leaders who lead by serving others and by “making a difference” in the lives of others. I believe that this is also one of the main “trends” that we will not only see but also establish in the coming year of 2015 –a huge demand for and development of servant leaders.